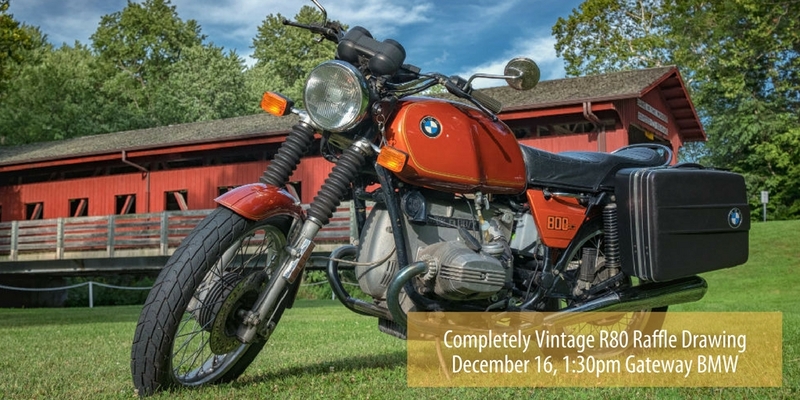 The BMW MOA Foundation's Completely Vintage R80 will be given away this Saturday, December 16. The drawing is set for 1:30pm during Gateway BMW's Winter Open House and Christmas Party. The results will also be broadcast live via the MOA's Facebook page and posted online after the drawing. Gateway BMW's Winter Open house is in full force from 10am - 3 pm. There will be food and door prizes along with serious Christmas specials on new and used BMW motorcycles as well as parts and accessories. Spend the day at Gateway BMW and join us for the R80 drawing at 1:30pm. Gateway BMW is located at 2690 Masterson Avenue, St. Louis, MO. Curious if your ticket is included in the drawing? See a full list of ticket buyers in alphabetical order by last name. Where is the posting of the winner? Can’t seem to find it anywhere.